Bailiff service on the fence about Khodorkovsky case damages | Russian Legal Information Agency (RAPSI). 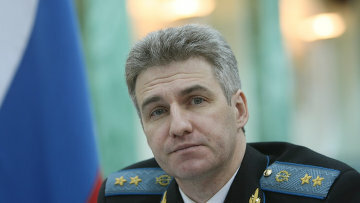 MOSCOW, January 30 (RAPSI) - Head of the Russian Federal Bailiff Service Artur Parfyonchikov allows the possibility of both ceasing the proceedings in extraction of 17 billion rubles ($550 million) from recently pardoned Mikhail Khodorkovsky, and seeking harsher liability if the compensation will not be payed, according to the service's chief statement made on Thursday. Moscow’s Meshchansky District Court held in 2005 to collect the money from Khodorkovsky and his business partner Platon Lebedev. 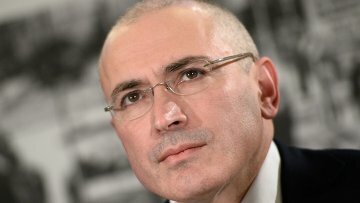 Khodorkovsky filed an application with the European Court of Human Rights (ECHR) asserting his right to the protection of property based on having been ordered to reimburse Yukos' tax arrears to the State. The ECHR agreed on this point in July 2013. According to Parfyonchikov, the bailiffs put the proceedings on halt for now, after the debtors' legal satus was amended with their release from prison. He added that the service will monitor the situation closely, in hopes for finding some assets that could be claimed. "Some harhser measure are possible," - Parfyonchikov said. However, the chief bailiff then said that "the matter of criminal liability here is unclear, as you can't impose the same kind liability twice for one criminal case,"
Human Rights Commissioner Vladimir Lukin had earlier filed several appeals with Russian courts challenging the earlier decision against Khodorkovsky and Lebedev. Lukin said he disagreed with the decision and wanted to get it overturned. However, the Moscow City Court responded in July by saying that the "material damage inflicted by their crime amounted to 17 billion rubles, which was supported by the evidence collected on the case. Therefore, the court passed the right decision to collect the amount from the perpetrators in full." In 2005, Khodorkovsky and Lebedev were sentenced to eight years in prison for fraud and tax evasion. The second trial commenced in March 2009 and concluded with a guilty verdict in December 2010. The Khamovnichesky District Court of Moscow sentenced both men to 14 years in prison for oil theft and money laundering. Khodorkovsky was released December 20 from serving out his sentence further as Russian President Vladimir Putin signed a decree pardoning him. In the same decision passed on Thursday the Russian Supreme Court has held that the sentence against Lebedev should be reduced to time served. 14:22 30/01/2014 Head of the Russian Federal Bailiff Service Artur Parfyonchikov allows the possibility of both ceasing the proceedings in extraction of 17 billion rubles from recently pardoned Mikhail Khodorkovsky, and seeking harsher liability if the compensation will not be payed.